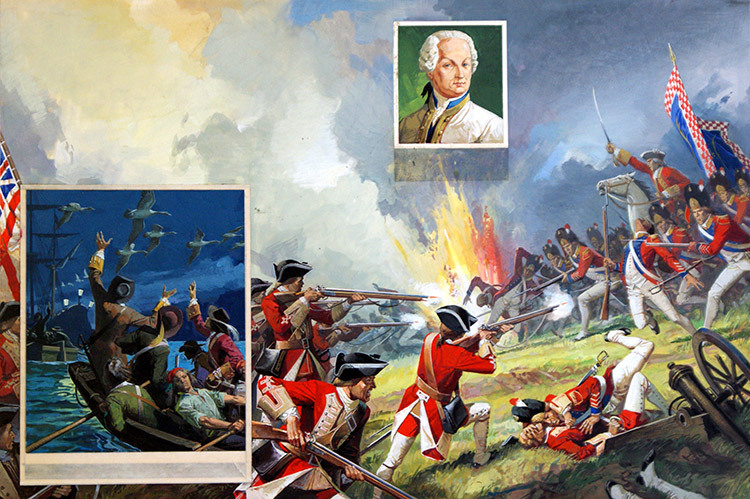 Battle of Fontenoy, in which the Irish Brigade of the French army distinguished themselves in fighting the hated English. Inset shows Count Maximilian von Browne. Original artwork for illustration on pp8-9 of Look and Learn issue no 952 (19 April 1980).